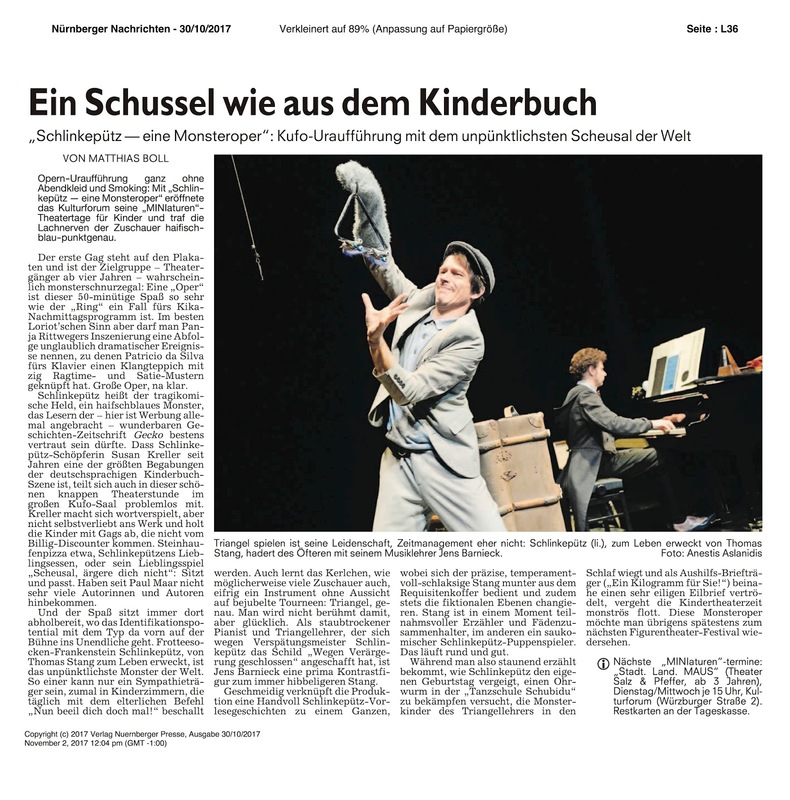 Schlinkepütz, das haifischblaue Monster, lässt mal wieder auf sich warten: Eigentlich wollte es mit dem Pianisten und dem Erzähler zusammen musizieren, denn es spielt monsterlich gerne Triangel. Leider hat Schlinkepütz aber ein Problem, das nicht nur seine Mitmonster zur Verzweiflung bringt: monstermäßige Unpünktlichkeit. 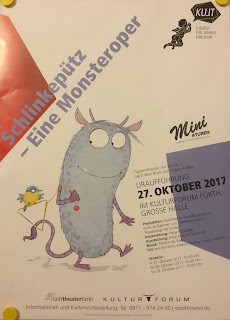 Die beiden anwesenden Künstler lassen sich jedoch auch von einem abwesenden Monster nicht erschrecken und machen das Beste aus der Situation, indem sie sich und dem Publikum die zotteligfantastischen Geschichten des Titelhelden erzählen und vorspielen. 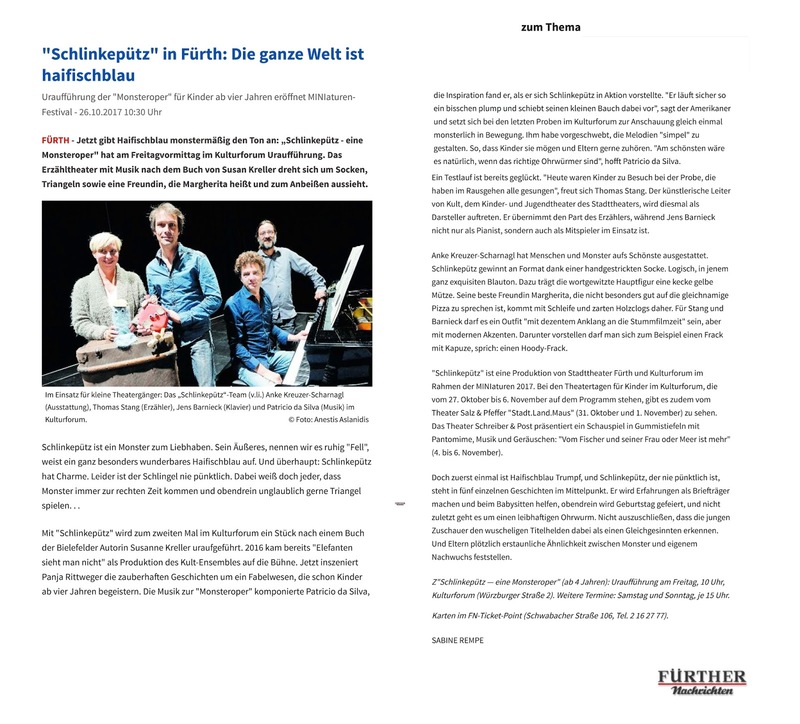 Mit „Schlinkepütz – ein Monster mit Verspätung“ adaptiert KULT zum zweiten Mal nach „Elefanten sieht man nicht“ ein Buch von Susan Kreller als Uraufführung für das Theater. 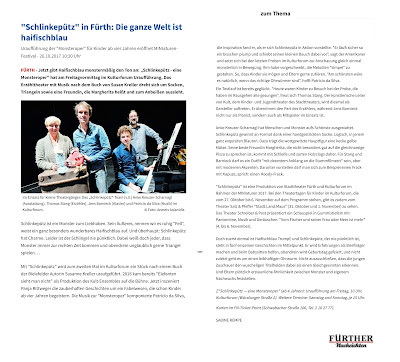 Nachdem sie für ihren letzten Roman „Schneeriese“ im Jahr 2015 mit dem Deutschen Jugendliteraturpreis ausgezeichnet wurde, erfindet die Autorin in diesen Vorlesegeschichten voller Sprachwitz eine liebenswerte Identifikationsfigur für die kleinen Zuhörer, denn die Monstrositäten, die als „Hundsgemeinheiten“ angekündigt werden, entpuppen sich allesamt als die wohlbekannten, äußerst kreativen Verhaltensweisen von Kindern im Umgang mit Zeit, Ordnung und auch mit den Erwachsenen. A new youtube video with the modern Piano Quartet by contemporary composer Patricio da Silva. Piano Quartet by Patricio da Silva was commissioned in 2003 and premiered in 2004 by the Moscow Piano Quartet at the Cistermusica Festival in Portugal. Scored for a traditional piano quartet formation of 1 violin, 1 volt, 1 cello, and 1 piano, "piano Quartet" by Patricio da Silva is in three movements, in a fast-slow-fast arrangement. Rhythmically engaging and energizing, Piano Quartet by Patricio da Silva doesn't require a drum-set to be groovy. A dialogue of incisive and sharp motives travels through the different instruments in a colorful etching of fast moving lines. Contemporary harp music by American composer Patricio da Silva with harpist Harpist Jaymee Haefner and violinist Matt Milewski, the Crimson Duo, who performed Music for Violin and Harp by Patricio da Silva on July 10th at the World Harp Congress 2017 in Hong Kong. Operetta in the XXI century defined and re-defined. Here it is, "It's Never Too Late to Lie" with music by contemporary classical composer Patricio da Silva and original libretto in English by Irene Dische. 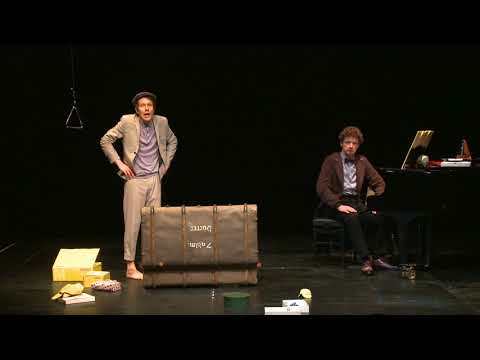 The first operettas in English language originate in England in the 1860s of which Arthur Sullivan's Cox and Box (1866) is thought to be the first. Gilbert and Sullivan, thanks to their long-running collaboration across the Victorian era, solidified the operetta format in England. W. S. Gilbert wrote the words (the libretti, as best known in the classical world) and Sullivan composed the music, and together the pair created 14 of some of the all-time best operettas and comic operas, later called Savoy Operas. with their popular extending from Britain to the U.S., and pretty much elsewhere in the Western wide of the world. Early American operetta composers include Victor Herbert, whose operettas at the beginning of the 20th century were influenced by both Viennese operetta and Gilbert and Sullivan. Victor Herbert was succeeded by Sigmund Romberg and Rudolph Friml. The operetta as a classic music genre as largely morphed, since the end of World War I, into musicals and American musical theater. Before that, the dividing line between opera and operetta has traditionally been fuzzy. Typically less serious in content and shorter in length, the operetta has made a living out of satire, humor, and amusement. 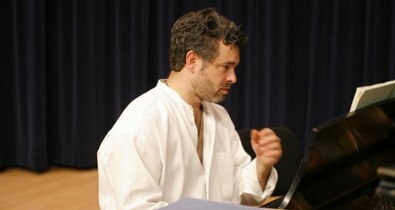 That is what is typically assumed in the musicals by Rodgers and Hart, Cole Porter, Irving Berlin and several others. American classical composers provide few rare Operetta examples, and these most notably include American operettas by composers Leonard Bernstein's Candide and Patricio da Silva's It's Never Too Late to Lie. 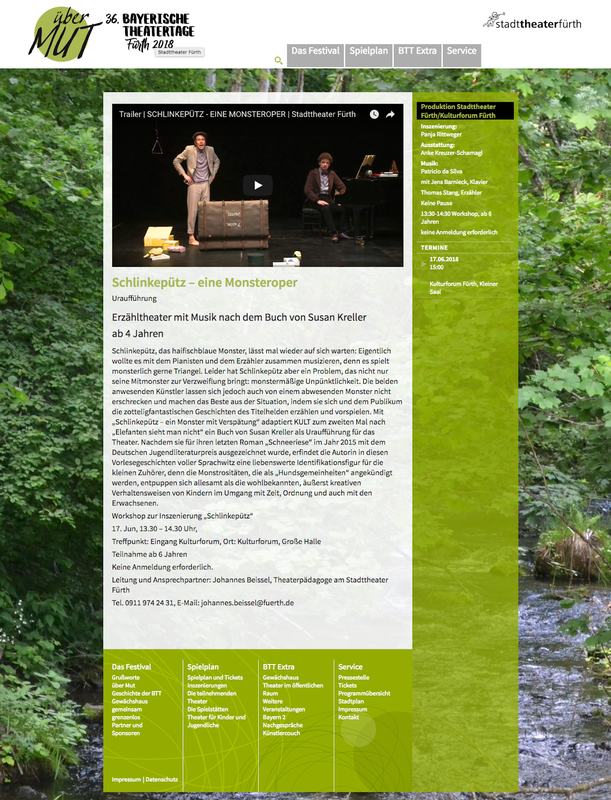 The operetta "It's Never Too Late To Lie" with music by composer Patricio da Silva is now available as Youtube video. Music by contemporary American composer Patricio da Silva in classical music concerts in NY and Atlanta, including contemporary classical music for harp and violin duo, and solo piano. Classical music concerts this month with contemporary classical music by American composer Patricio da Silva. On June 30th, at the German Consulate in NY, German pianist Jens Barnieck tours the US with a piano recital program featuring romantic piano pieces, including music by Patricio da Silva. A few days later, on July 2nd, in Atlanta, GA, the American Harp Society National Conference hosts contemporary classical music by Patricio da Silva, a new 15 minute piece commissioned by the American Harp Society for harp and violin duo, with the Crimson Duo, Jaymee Haefner (harpist) and Matt Milewski (violin). 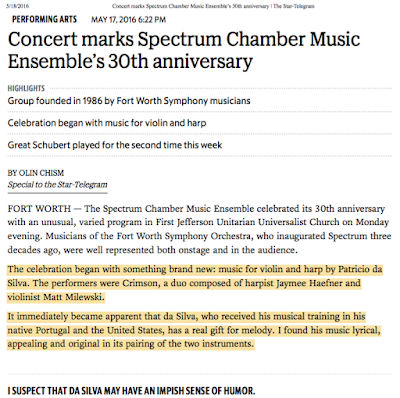 Premiered by: Jaymee Haefner (harp) and Matt Milewski (violin), Spectrum Chamber Music Ensemble, Forth Worth, Texas. Written in 2015, Music for Violin and Harp by Patricio da Silva is a collection of three pieces of contemporary classical music commissioned by the American Harp Society for harp and violin duet, premiered by Jaymee Haefner (harp) and Matt Milewski (violin) in Forth Worth Texas, on the occasion of the 30th anniversary of Spectrum Chamber Music Ensemble by musicians of the Forth Worth Symphony Orchestra. Imagine a classical scene in a western film: you see the main character's silhouette far in the horizon riding in your direction. You know the character is coming your way, you just don't know what will happen next. That's the beginning of this piece, a postcard from California, land of deserts, fertile valleys, Spanish Missions, and high-tech culture. Ladies and gentlemen, are you are ready for trick or treat music? Harmonically speaking, you will be set-up, influenced, misdirected, and manipulated in a joy ride of harmonic ambiguities and trickeries. Time for instrumental showmanship, hands on virtuosity driving an upbeat mood with jolly good tunes. 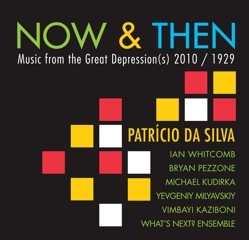 Now and Then: Music from the Great Depression, the best Great Depression songs and 1930's music as heard during the Great Depression period in America presented side by side with contemporary classical music by classical composer Patricio da Silva, now also available on youtube. Now and Then is a crossover album with powerful contemporary classical music instrumentals by classical composer Patricio da Silva and some of the most iconic popular music from the Great Depression period including foxtrot music songs, foxtrot music instrumentals, contemporary classical piano music, classical guitar concerto for guitar and orchestra, and 1930's piano music. 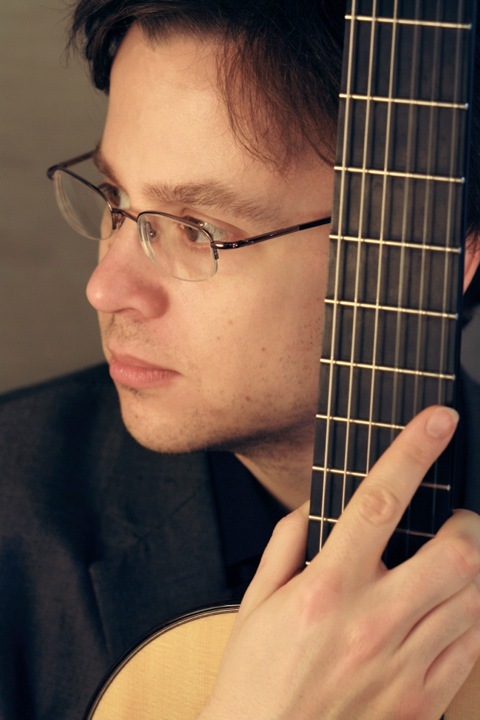 Now and Then is also known as the Keep Calm and Carry On guitar concerto album that features the premiere of Patricio da Silva's classical guitar concerto. This album was recorded live in concert with British Invasion rock star and early American and British popular music specialist, Ian Whitcomb; featured piano soloist of the Hollywood Bowl Orchestra and Disney Hall, Bryan Pezzone, plays 1930's piano music; classical guitarist Michael Kudirka performs Guitar Concerto by contemporary classical composer Patricio da Silva; concert pianist Yevgeniy Milyavskiy plays contemporary piano music by Patricio da Silva; and the 15-piece What’s Next? Ensemble with artistic direction by John Stulz (viola) and Vimbayi Kaziboni (conductor). Great Depression Music and Great Depression Songs download ready on Itunes and Amazon. Das Magazin von Steinway identified Patrício da Silva’s compositions as, “A true firework of youth and strength.” Musical Opinion stated, “Here is a genuine creative voice, his work being full of interest and beguiling invention.” Now and Then: Music from the Great Depression(s) 2010 / 1929 once again demonstrates da Silva’s extensive range of compositional mastery, where he juxtaposes his latest classical works with his effervescent arrangements of 1930’s depression era popular songs. “Kurt Weil was the first depression ... We are reflecting the second. Through this depression, we are actually creating great works of art, which is often the case ... When you have bad times, you have great music,” said Ian Whitcomb. Together, these two very different genres counterpointed by a single composer, bring an unparalleled richness to the hearts and spirits of music lovers everywhere. 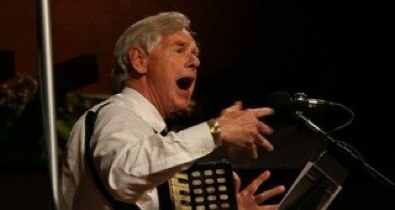 Grammy award winning Ian Whitcomb has been entertaining the world for over 30 years. Hitting the American Top Ten charts in 1965 with his novelty record, "You Turn Me On" (an orgasmic panting song), he soon abandoned life as a British Invader (born in Surrey, England, in 1941) to devote himself to resurrecting the roots of pop music, especially Ragtime and the simple, heartfelt songs of turn-of-the-century Tin Pan Alley. .....The result has been a steady flow of records, books, documentaries, radio shows, and concerts dedicated to this neglected music. He has performed everywhere, from the Hollywood Bowl and the Montreux Jazz Festival to shopping malls and private homes. Not only has he preserved such gems as "I Go So Far With Sophie On Sophie's Sofa" and "The War In Snider's Grocery Store", but he has also added to the library of sturdy songs with his own contributions such as "Wurzel Fudge--The Village Idiot" and even serious ballads. He has performed on such TV shows as Johnny Carson's "Tonight Show"; he represented Ireland at the European Variety TV show contest (Ian is a graduate of Trinity College, Dublin, and The Father of Irish Rock); and he was the original host of the longest running rock TV program in Britain, "The Old Grey Whistle Test". .....As an author, he is best known for his classic book on the history of pop music from rag to rock, entitled "After The Ball", still in print after a quarter of a century. He has published ten other books, including a biography of Irving Berlin, a memoir of his life in Los Angeles, and a novel set in Southern California. His “Brother Can You Spare a Dime?” offers a unique look into the people’s music of the Great Depression. While “The Coming of the Crooners” examines the history of great crooners such as Gene Austin, Bing Crosby, and the like. .....He lives near Pasadena, California, with his singing wife, Regina, and his mongrel dog, Inspector. Fittingly, this animal was inherited from the late Rudy Vallee, the world's first-star crooner--for Ian Whitcomb is the last in the line of such gentle, friendly song delineators. He doesn't only sing comedy songs, you see, he can jerk tears with such numbers as "Who Wants A Bad Little Boy?" Since beginning his career in Los Angeles in 1987, Bryan has worked with many of the premiere contemporary music composers and conductors; Pierre Boulez, Oliver Knussen, John Adams, Esa-Pekka Salonen, Kent Nagano and John Williams. 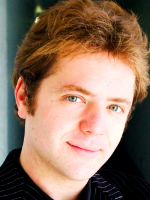 Yevgeniy Milyavskiy has won numerous awards and competitions, including the Spotlight Awards at the Los Angeles Music Center, the Los Angeles International Franz Liszt Competition, and the Jose Iturbi International Piano Competition. Yevgeniy has been fellow to numerous music festivals, including the Chamber Symposium in Lausanne, Switzerland, the International Chopin Piano Symposium Los Angeles, the Aspen Summer Music Festival, and the Tanglewood Music Center Festival. With descriptions like "...the excellent guitarist in [Hans Werner] Henze’s unsettled score” from Mark Swed of the Los Angeles Time and “great variety and wealth of timbres, breathing, nuances, intensities, tempo changes, all sustained by an impeccable technique” from Enrique Velasco del Valle of the Diario de Xalapa (Mexico), Michael Kudirka is known as a guitarist with rare musical and interpretive gifts. Numerous competition first prizes include the American String Teachers Association, the University of Southern California Concerto Competition, and the Portland International Guitar Competition. Zimbabwe native Vimbayi Kaziboni has received considerable acclaim as a young conductor and performer. 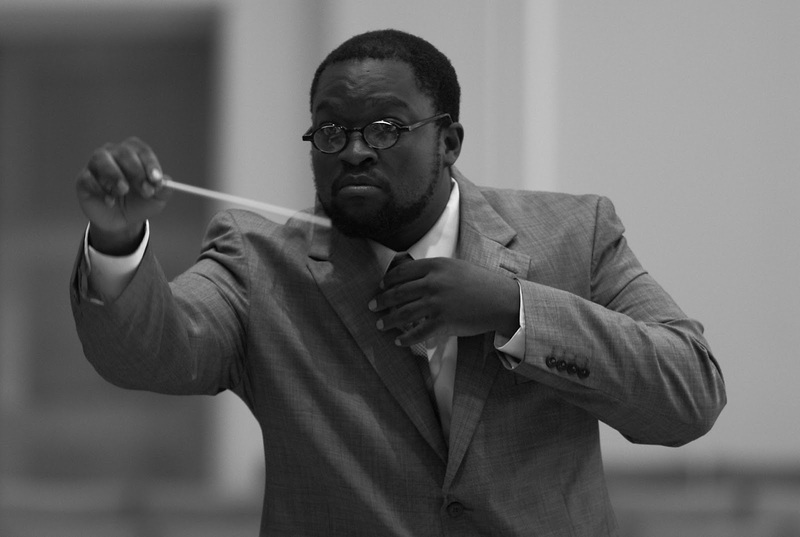 His principal leadership role is founding artistic director and chief conductor of the Los Angeles-based What’s Next? Ensemble. 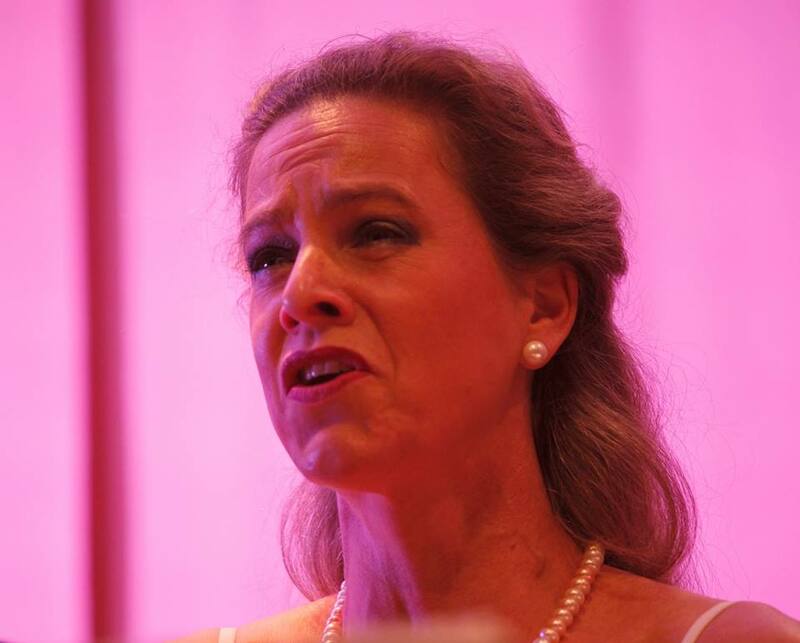 Called “exciting... even overwhelming,” and a “superb ensemble” by Opera West, What's Next? Ensemble is a post-classical music collective based in Los Angeles. Created in the spring of 2008 with the mission of bringing together talented emerging artists to perform exciting, cutting-edge music from Southern California and beyond, What’s Next? is building a reputation as a leader in the Southern California music scene. The musicians of What’s Next? are some of the most dedicated and talented new music performers in the country. They are alumni and participants of such luminary new music festivals and programs as Ensemble ACJW, Internationale Ensemble Modern Akademie, The Lucerne Festival Academy, the Aspen Contemporary Music Ensemble, the Bang on a Can Music Summer Festival. With their signature event the Los Angeles Composers Project, they have presented and championed the works of over 50 Southern California composers from all stages of their careers. Now in its fifth year, the LACP is the most comprehensive and hippest retrospective of the exciting music being created in Los Angeles today. Through the LA Composers Project, What’s Next? works to foster and support a vibrant music community right here in Los Angeles. 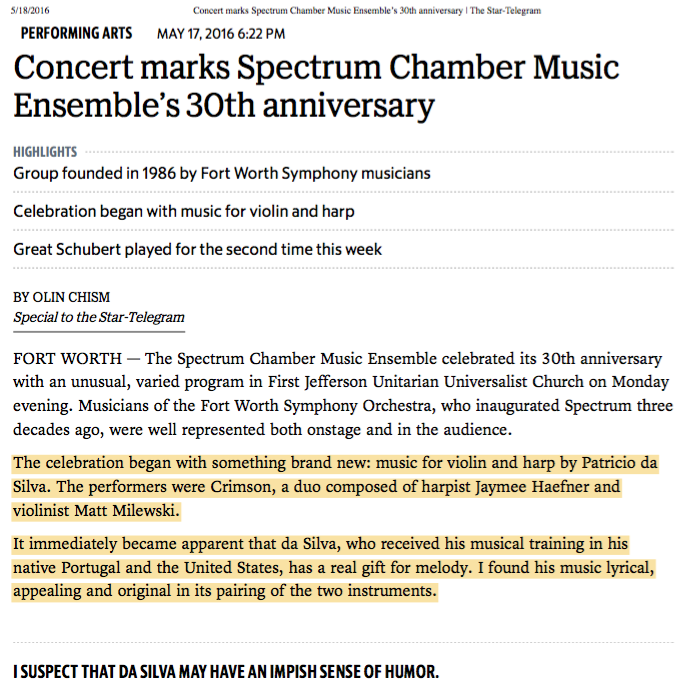 Music for Violin and Harp by contemporary classical composer Patricio da Silva premiered this week in Forth Worth, Texas, in a performance by harpist Jaymee Haefner and violinist Matt Milewski in a concert celebrating 30 years of the Spectrum Chamber Music Ensemble with members of the Forth Worth Symphony. 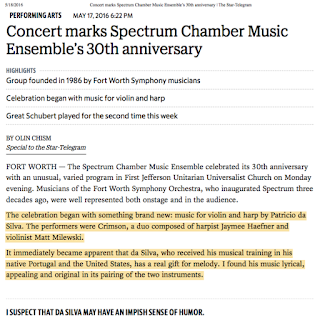 Here's a great review by the Star-Telegram. TheSoundStew Studios is a media company specializing in the production of original music for documentaries, music for film, and music for video game and media industries. Situated in Santa Barbara, California, TheSoundStew is a company conveniently located near major airports and the booming entertainment industry in Los Angeles. Equipped with a state-of-the-art recording studio and vocal booths, TheSoundStew provides a full solution for producing music for your documentary, film, or video game, delivering complete in-house production from the composing of the original score to recording and post-production. TheSoundStew takes your project from start to completion all in one place with one team, making us the ideal solution when expertise and delivery times are priorities. We look forward to hearing from you and working on your project together. We work with clients all over the world. Describe us your project and tell us what and when you need it!